If you live in North America and you love birds then you are probably familiar with the Belted Kingfisher, which can be found across the continent from coast to coast. This cute design features a pair of Birdorable Belted Kingfishers. Can you tell the difference between the male and the female? Both have the cute shaggy crests and are colored blue and white, but females have rufous across the upper belly. The design is shown here on a blue women's Hanes Nano long sleeve t-shirt, which is made of ultra-light and ultra-soft 100% cotton fine jersey knit. 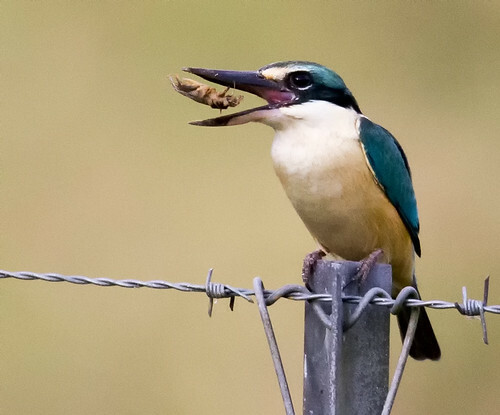 This week, we’ve been celebrating the world’s kingfishers! There are about 90 species of kingfisher in the world. These darling birds are often colorful, and they can be found all around the world. Today we wrap up Kingfisher Week with a species profile of the impossibly cute Black-backed Dwarf Kingfisher. 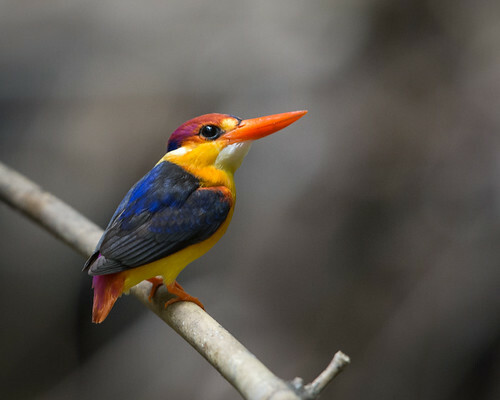 The Black-backed Dwarf Kingfisher is known by several different names, including Oriental Dwarf Kingfisher, simply Black-backed Kingfisher, Miniature Kingfisher, Malay Forest Kingfisher, and Three-toed Kingfisher. 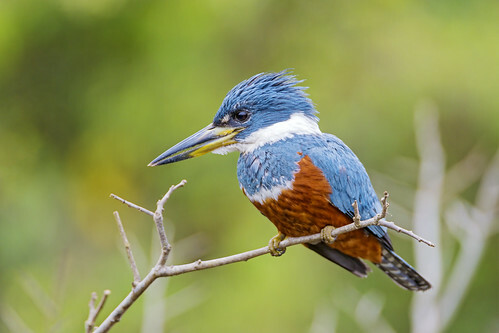 This darling bird is one of the most colorful species of kingfisher; it is also one of the smallest species of kingfisher, measuring just about 5 inches in length. 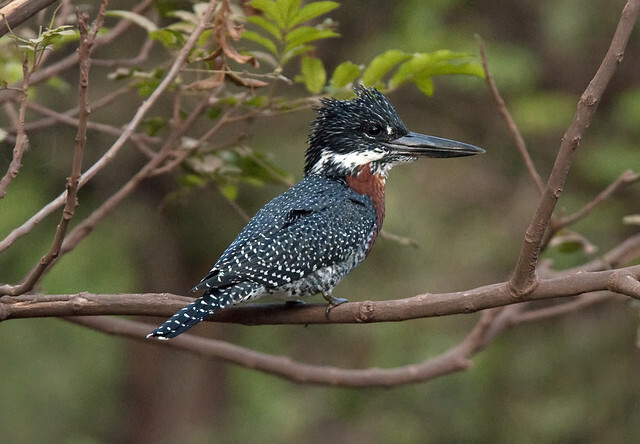 Black-backed Dwarf Kingfishers belong to the river kingfisher, or Alcedinidae, family. Their prey items include insects, frogs, and lizards. They rarely dine on fish. 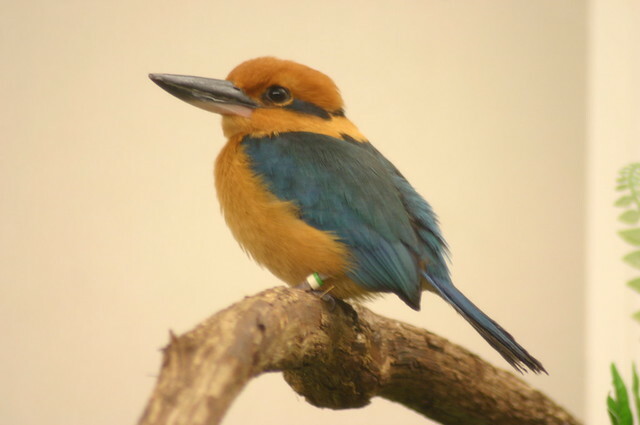 These diminutive kingfishers were considered to be bad omens by the Dusun tribe of Borneo. Like most kingfishers, Black-backed Dwarf Kingfishers nest in tunnels or burrows. A nest tunnel may be up to a meter long! A typical clutch size is 3 to 6 eggs and incubation, performed by both parents, lasts about 17 days. Both parents care for the growing chicks. Fledging occurs about 20 days after hatching.